SPC ProVital easy-open cup range was a world-first packaging innovation and has been recognised globally by the packaging industry as an accessible food packaging solution. 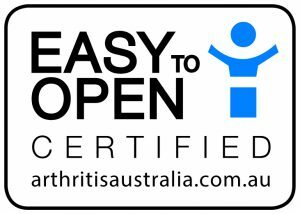 The easy-to-open pull tab design was developed in collaboration with Arthritis Australia’s Accessible Design Division, their research partner GTRI’s Dr Brad Fain and HealthShare NSW. The Division assisted SPC with understanding the needs and abilities of the arthritis community, such as through the packaging accessibility guidelines, as well as through ongoing testing and support during the development process. The project resulted in an award winning design, which meets the needs and abilities of Australian consumers. Making packaging accessible to consumers contributes to their nutrition, independence and well-being. Packaging that is hard-to-open presents a number of barriers to all consumers, but particularly those with a disability and the ageing population, who experience issues with reduced dexterity and strength. Packaging that is hard-to-open can also result in unnecessary waste and injury when consumers can’t easily open the product and decide to use a tool, like a knife or scissors, to hack at the product. Consumers may spill the product during such attempts or be force to throw the product out unopened if these attempts are unsuccessful. The single-serve fruit cup format had problems with the traditional tab design. Consumers firstly had difficulty with separating the tab from the cup and then they would struggle to grip the tab, due to its small size and lack of texture. If consumers are unable to access and grip the tab, then they are unable to open and enjoy the product inside. The SPC ProVital packaging range was specifically designed to be easy-to-open and was developed in collaboration with Arthritis Australia, GTRI’s Dr Brad Fain and HealthShare NSW. The SPC design considered the abilities of consumers including those with reduced dexterity, strength and poor vision. 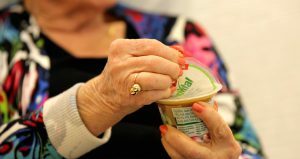 The need to improve packaging accessibility is in response to factors such as Australia’s ageing population as well as the need to reduce food wastage in hospitals and remove a barrier to nutrition in healthcare. SPC’s innovative design was highly praised and received multiple awards from the packaging industry. The design and it Easy to Open Certification also allowed SPC to grow their SPC ProVital sales in the healthcare industry as the design was seen as taking leadership in the accessibility of foodservice packaging. SPC received this award for reducing food wastage, as patients were more easily able to open and consume the contents due to the improve packaging, which also led to nutritional gains. Here is our 10 steps checklist to help you live with arthritis.